Our first initiative is to create a stair-climbing wheelchair that is human powered. To achieve this, we are literally re-inventing the wheel, providing individuals with the ability to use an everyday wheelchair to ascend and descend staircases without additional assistance. In countries without policies like the Americans with Disabilities Act, people face significant obstacles due to the lack of amenities to meet their needs. 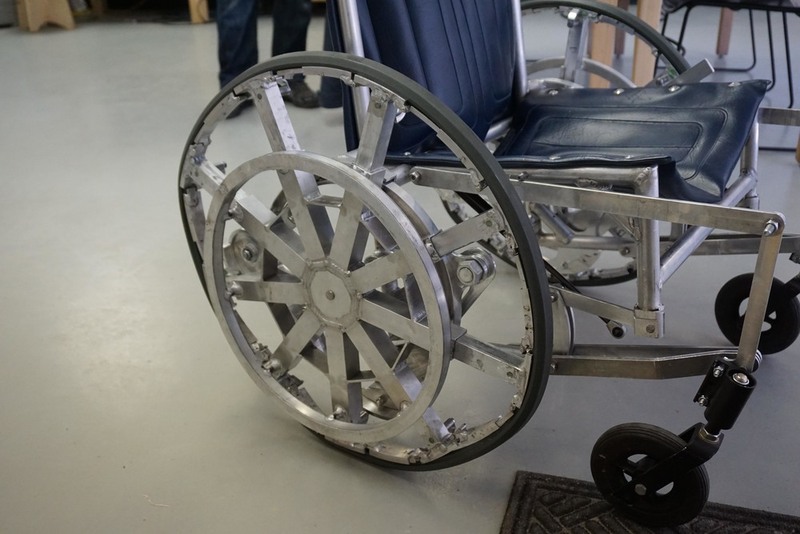 This wheelchair will dramatically improve mobility – the number one struggle identified by Persons with Disabilities. As a manual wheelchair, it will be more affordable and cost-effective than the existing powered wheelchair prototypes. Using our respective expertise, the team at Pelico will introduce a product that transforms wheelchair standards and is accessible to people with Spinal Cord Injuries in the US and abroad. A non-provisional patent application has been filed with the U.S. Patent Office as well as a PCT application to protect our foreign interests. Compatible with existing wheelchair accessories such as pressure cushions, head rests, etc.